Electronic cigarettes are becoming a popular alternative to smoking, but there’s some confusion about whether they are actually legal and if so, whether they are subject to anti-smoking laws. The answer is not simple – lawmakers around the world are grappling with e-cigarettes, but Australia is one of the countries where confusion is particularly rife, because laws differ from state to state. 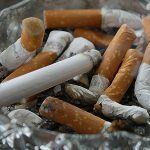 Nicotine is classified as a poison in Australia, and this is the starting point for most legislation that governs smoking and the sale of tobacco. 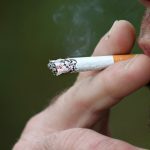 Australia is one of the most regulated countries in the world when it comes to smoking and the sale of tobacco, and also one of the most expensive places to buy cigarettes. For this reason, many turn to e-cigarettes to help them cut down or quit the habit. Despite a lack of research, many believe they are less harmful than ‘real’ cigarettes, allowing smokers to inhale vapours without actually ingesting any smoke. E-cigarettes are controversial world wide, and despite the fact they have been used for decades, they have never been approved as an aid to quitting. Do all e-cigarettes contain nictotine? The answer is no, but in 2013, some liquid refills claiming to be nicotine-free were analysed and found to contain significant quantities of the drug. A national public health warning was issued to help Australian consumers understand the risks associated with the product. Are e-Cigarettes legal in NSW? The sale of liquid nicotine, including liquids used for e-cigarettes, is illegal under the Poisons and Therapeutic Goods Regulation Act. However, it is legal to import liquid nicotine for personal use. It is an offence to use e-cigarettes in cars with children under the age of 16 present. Provisions apply to the display and advertising of e-cigarettes and accessories, as well as how and where they are sold. The sale of e-cigarettes and e-cigarette accessories to minors is illegal, attracting the same maximum penalties as tobacco. In NSW, there is nothing contained in the legislation to suggest that ingesting e-cigarettes or ‘vaping’ is classed as ‘smoking’, and there is an argument that the strict prohibitions on smoking therefore do not extend to vaping. The laws governing e-cigarettes differ across Australia. Here’s a snapshot of the laws by jurisdiction. In Western Australia, it is legal to use e-cigarettes, with or without nicotine. E-cigarettes are classed as products which mimic smoking under the Tobacco Products Control Act 2006. It is therefore illegal to sell them and use them anywhere smoking is banned, but nicotine can be legally imported for personal use and e-cigarettes can be legally bought and imported from other Australian states. In Queensland, e-cigarettes are classed as tobacco products. They can be legally sold but it’s illegal to import nicotine into the state, even for personal use. It’s also illegal to use an e-cigarette that contains nicotine, which restricts vapers to nicotine-free options. Victoria is another state that hasn’t classified e-cigarettes under existing anti-smoking laws. It’s legal to use them whether they contain nicotine or not, to sell devices and nicotine-free liquids and to import nicotine for personal use. In South Australia, e-cigarettes can be sold and used legally. Nicotine can be legally owned as long as it’s not for retail or wholesale, and it’s fine to import it for personal use. In the Northern Territory, e-cigarettes aren’t classified as tobacco products, and it’s legal to sell nicotine-free ones. E-cigs can also be legally used whether they contain nicotine or not, but nicotine can only be imported if you have a permit to do so. In the ACT, it’s legal to sell e-cigarettes without nicotine and they can be legally used. In Tasmania, nicotine-free devices can be sold and any e-cigarette can be legally used. 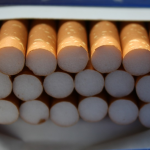 Nicotine cannot be legally sold, but it can be imported for personal use. While laws vary across Australia, they generally reflect the stance taken by The World Health Organisation, which has suggested a cautionary approach to e-cigarettes and the implementation of regulations relating to promotion, advertising and sponsorship. However, supporters of e-cigarettes say they are much safer than smoking, arguing that they should be endorsed as a nicotine replacement therapy because a major cause of cancer is smoke produced by combustion and the myriad of deadly additives to cigarettes, not the nicotine itself. 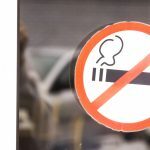 Will Australia ever ban cigarettes? 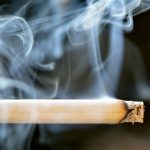 Thank You for (Not) Smoking: Is Plain Packaging Effective?